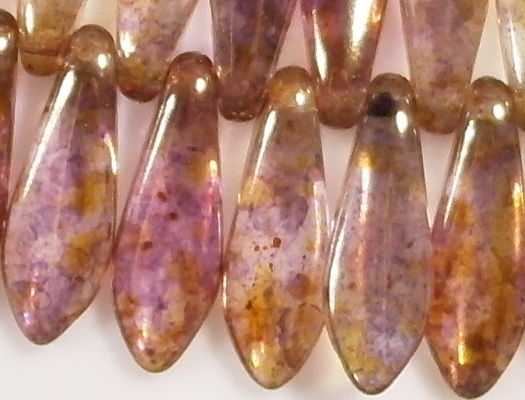 Size/shape: 15.5mm (long) x 5mm (wide) x 3mm (thick) dagger-shaped beads with the hole running sideways through the narrow end. 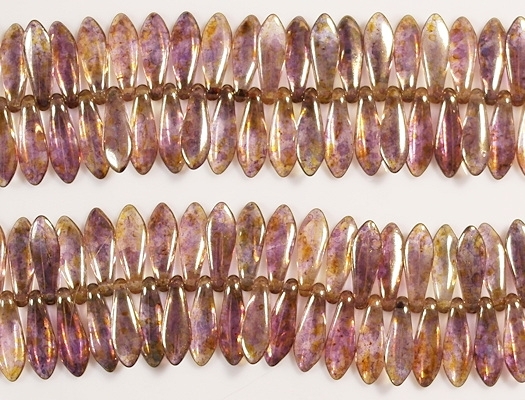 Colors/description: Light violet with a bright gold-luster coating (see Comments below). Comments: The official name of this color is "smoky topaz/gold luster". What that implies is that the glass is a light smoky topaz color (light brown or gold). 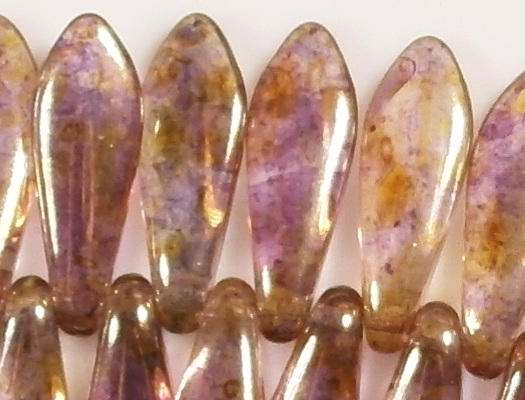 However, when you look at the beads in bright light, you can definitely see a violet color. 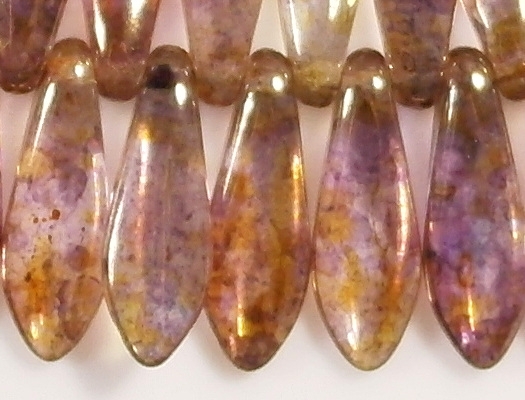 The violet color may be caused by light reflections within the bead. 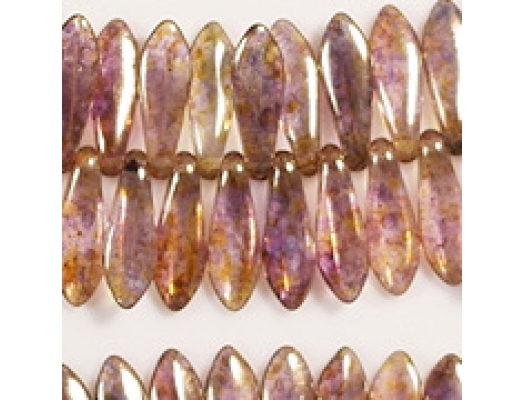 Covering a bead with a gold coating will create pink or violet light reflections inside the beads. 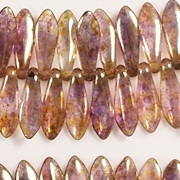 Please note that these beads are more expensive than most dagger beads I have carried in the past, thus the high price. Also, the supplier says they are 16mm, but they measure at 15.5mm.